From professions such as a photographer, a painter, a musician, an architect, a designer of any kind, a fashion label owner, a model, a craftsman or a Hipster Café owner, show what you have to offer to the world and get it sold! Installing the Products, Arts & Services Theme is as easy as it gets. Check the Installation & Setup Guide no need to break into a sweat. 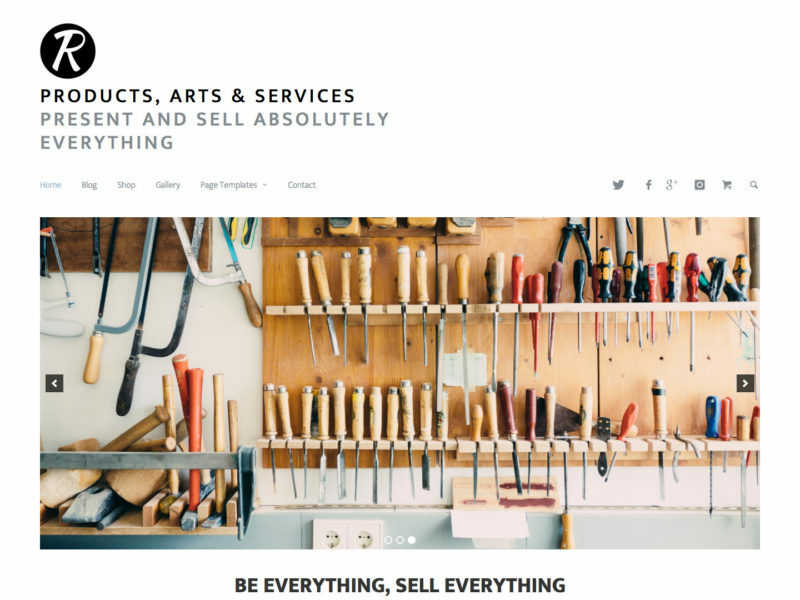 Get your site elevated with the Products, Arts & Services Theme today. Your success will be accelerated. It′s your turn to make headway!